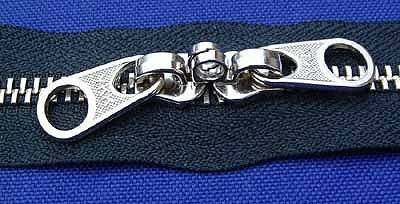 This DSPDL-1 style of zipper and double slider combination is VERY smooth. Each slider has a metal loop with a hole molded on it. When you slide the two sliders towards one another the molded loops that are offset alien next to one another, which then gives you one hole, which you can put a padlock through. 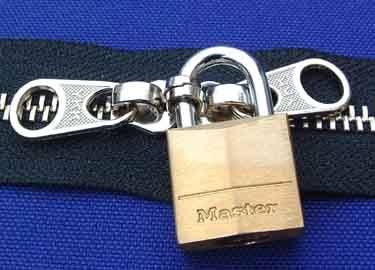 The two sliders locked together in turn lock the bag in the closed position.